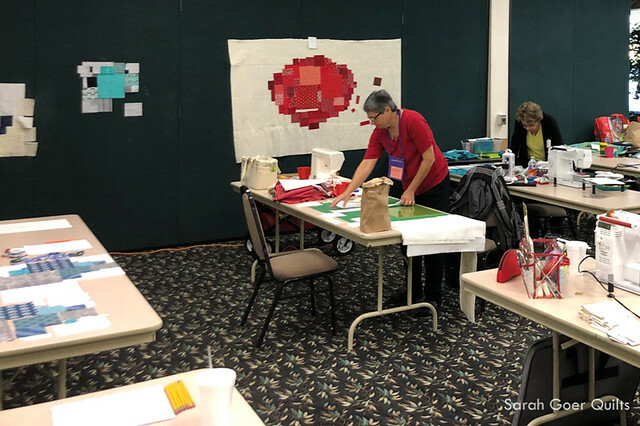 Last Monday I flew into Burbank airport for a visit to Camarillo Quilters Association. 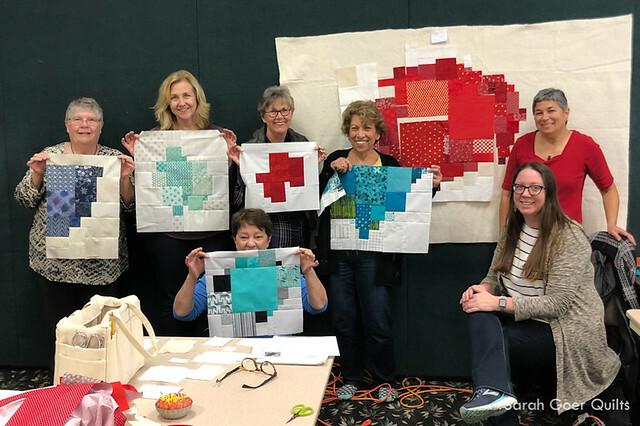 I was greeted with beautiful spring weather for my visit which included attending their meeting to share my Rules and Options of Planned Improv Piecing lecture and trunk show followed by my Planned Improv: Scrappy Squares workshop the next day. Here’s a glimpse of the back of one of my oldest quilts that shared at the meeting. I think it’s my earliest attempt at Planned Improv. 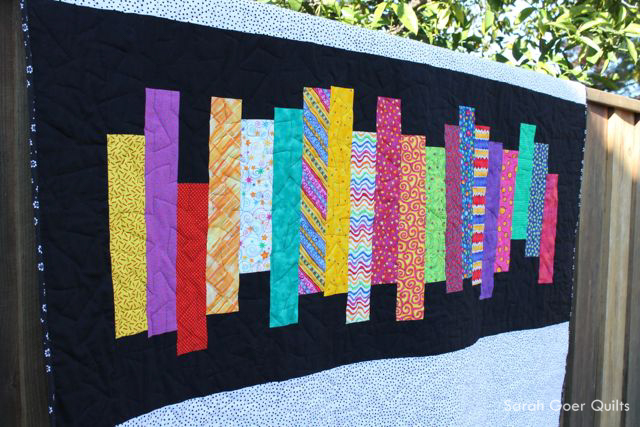 In this case I wanted to make “back art” for this quilt using my scraps from the front of the project. I was probably working with a limited amount of the black on white polka dot fabric, and I decided to insert a band of solid black with bars of bright color from my front. I had remnant strips that were all cut 2 1/2” wide, but they were different lengths. I added solid black to the ends of each strip and staggered them for my final placement. In my Planned Improv: Scrappy Squares workshop, we had a variety of different perspectives on the planned improv technique. Some quilters took inspiration from a shape they saw in one of the quilts during my lecture while others built from their squares (and rectangles) for a unique composition. 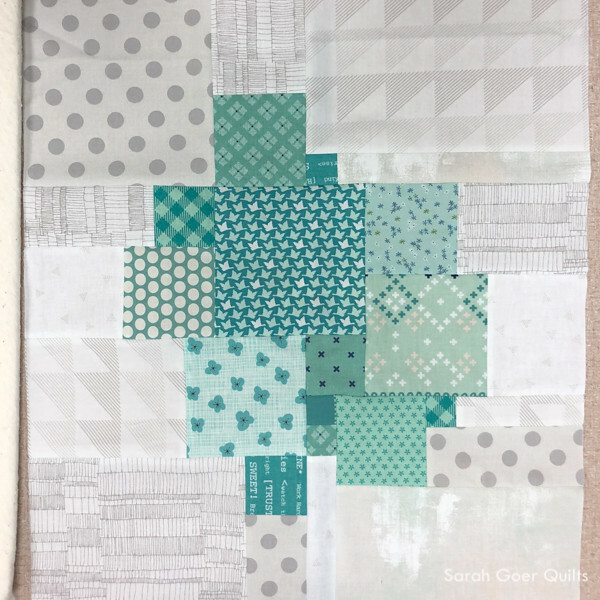 It was fun to see the variety of colors and sizes these quilters chose to work with. Every time I teach this class I return home with new ideas to try! Here are the slabs in progress by Linda, Kristin, and Barbara. I had a fun day with this group. A great big thanks to all of the Camarillo Quilters Association for having me, and to Laura who was my host for my visit. You can view my schedule to see where I will be teaching next. 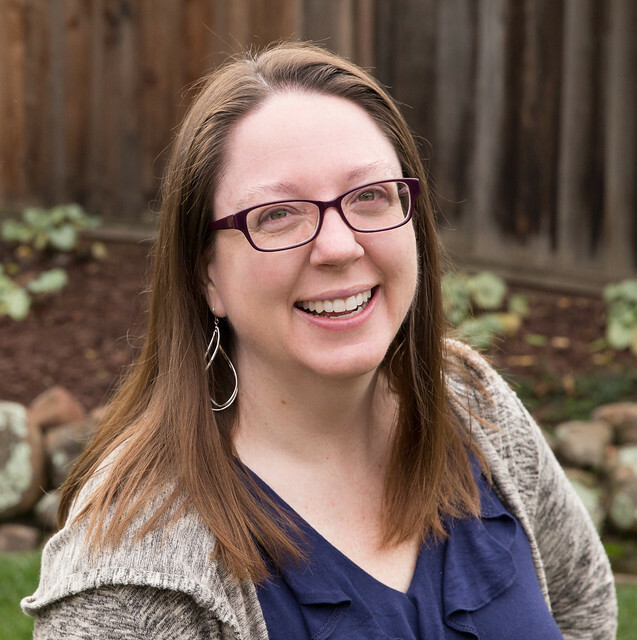 If I’m not headed your way, feel free to point your guild program chair to my website. I’m currently booking dates for 2020, with limited availability in late 2019. 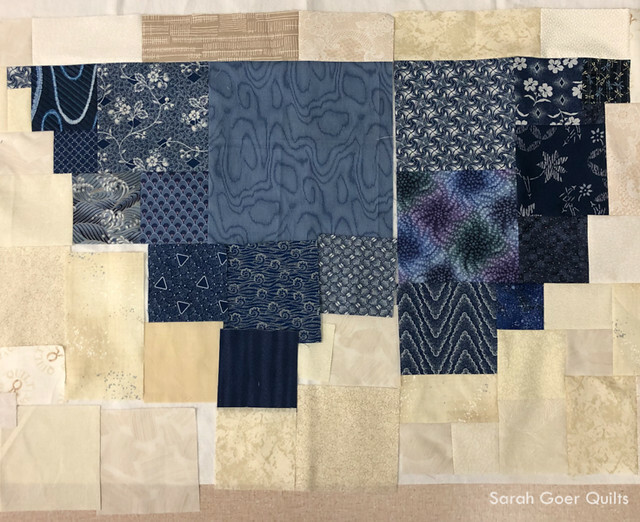 Posted in Quilting on March 18, 2019 by sarah. 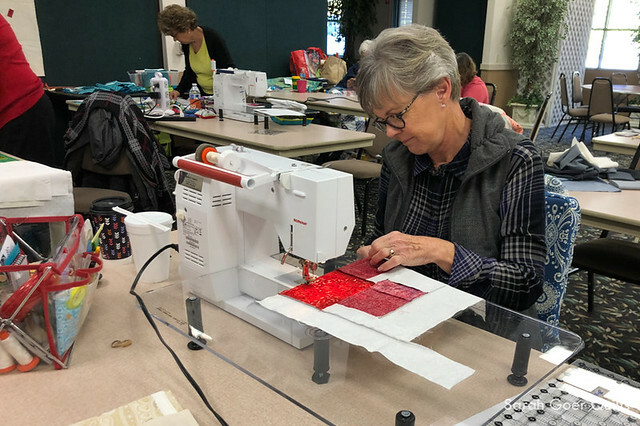 How fun to be traveling around, meeting new quilters and teaching. How does it feel to be teaching adults as opposed to your middle schoolers from your earlier teaching career? I am happy to see your career developing like this! Looks like your students had great results - the signs of a great teacher. Aww, thank you Kathleen. We had a great day. It is so awesome to see the student work from a workshop. 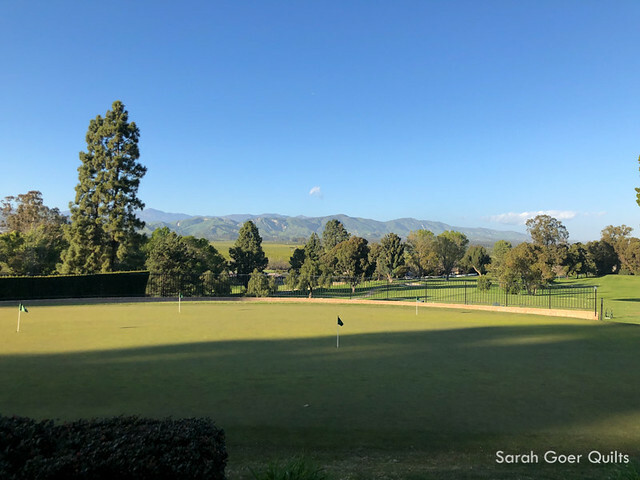 Being greeted by beautiful spring weather sounds delightful, too! Thank you, Yvonne. 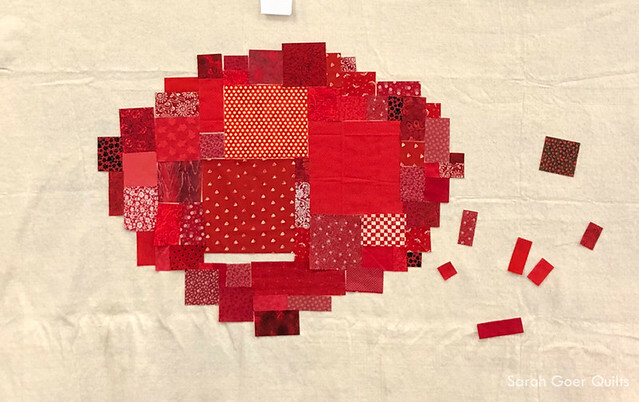 I really enjoy seeing the direction each quilter takes her project.